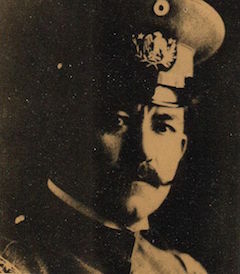 On this date in 1922, Mexican General Francisco Murguia was shot at the Tepehuanes cemetery in Durango. His loyalty to the Carranza cause after its namesake was deposed and assassinated in 1920 caused Murguia to flee to Texas for a time. He found his way into these dark pages by returning to lead a planned constitutionalist revolt against dictator Alvaro Obregon; anticipating the support of a coordinated rising, he was supported in the moment only by scanty fractions of the anticipated forces, leaving him nothing but the doomed bravado of a man before the muzzles.